Everybody has a theory about potty training! Seriously, ask the guy who made your triple soy latte this morning. Even that guy has a theory. From throwing a potty training party to whipping out M&Ms as incentives to just letting your kid take the lead – there’s a ton of advice. The truth is – it probably depends on your child. But whatever route you take, you need the right tools. And that means finding the best potty chair or potty seat (or maybe both). Go ahead and google the options and you will be so overwhelmed, you’ll give up and just order plane tickets to the Caribbean. Potty training is hard enough so let us help you. We reviewed some of the most popular potty chairs and seats out there. Find out about the good ones that are available, the ones you can skip, and the ones that got the Alpha Mom Top Pick. But before you buy, do some searching online to find the best possible price because prices can really vary. 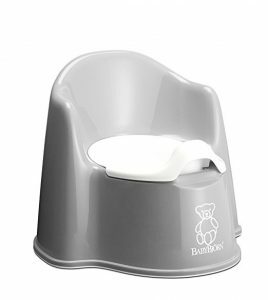 You can find the BABYBJORN potty chair for about $20 to $30 depending on where you buy it and if you can get it on sale. This is your typical standalone potty chair. It rests on the floor and you lift out the inner potty basin to empty and clean it. There is a splashguard to help prevent spills with boys. It’s sturdy and won’t tip over. What I love most about this potty chair is the high backrest. 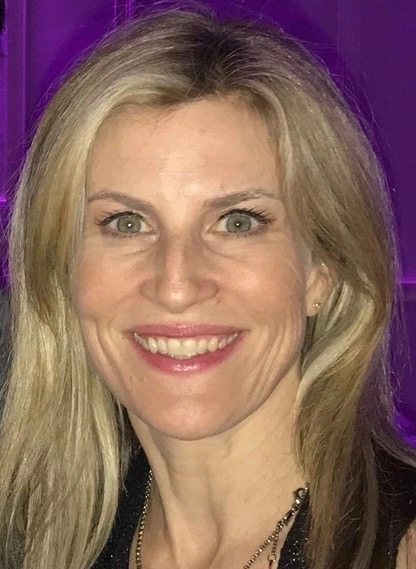 Having potty trained five kids now, I have learned that some kids will spend a long time– and I mean a seriously long time– sitting on a potty waiting for the magic to happen. So the backrest will make your daughter or son far more comfortable and more willing to hang out there. This is definitely one of my 3 year old’s favorite go-to potty seats. It comes in a bunch of different colors so you can let your child choose one of the colorful ones or I love the white or grey options so it doesn’t stand out so much in a bathroom. Strengths: Sturdy, high back, easy cleaning. Weaknesses: Priced a bit too high relative to other options. Final Word on the BABYBJORN potty chair: You can find pretty much the same thing for less money. Like the Summer Infant Lil’ Loo Potty which we review below. 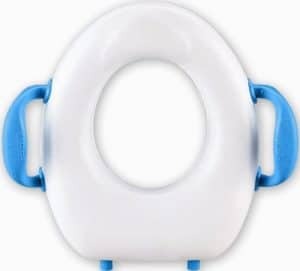 The Summer Infant Lil’ Loo Potty is incredibly similar to the BABYBJORN potty chair (reviewed above) but so for so much less money. We found it for about $10 on Amazon. $10 dollars! For a potty! Like the BABYBJORN potty, it has an easy to remove inner basin for cleaning, a splash guard for boys and a high back seat. It comes in some cute two tone colors, including all white for those of us who want their potty seat to be more under the radar. Strengths: Great price, sturdy, high back, easy cleaning. Weaknesses: I didn’t find any weaknesses but some reviews on Amazon mentioned the size – meaning it seemed too big for their child. Final Word on the Summer Infant Lil’ Loo Potty: You will not find a better potty seat for the money. It’s an Alpha Mom Favorite. The Munchkin Deluxe Potty Seat sells for $14 on the Munchkin website. It’s currently unavailable on Amazon. This seat is for children 12 months and up (and if you’re potty training before that, you’re a miracle worker). This potty seat does have some nice features. It has adjustable handles which really do make it easier for toddlers to sit up on a big toilet. You can buy the seat with blue, green, purple or pink handles. The potty seat is soft and cushiony, which my 3 year old seems to like… although in all honestly, he’s more interested in discussing the show Paw Patrol than potty seat contours. But anything that encourages a child to stay on that potty is a plus. But the puffiness of the seat does make it a little higher which means he has more trouble climbing onto this seat. This potty seat tends to slide around a bit once positioned on the adult toilet. It doesn’t sit as tightly as the Cozy Greens Potty Seat or the BABYBJORN Toilet Trainer (both reviewed below). This potty seat is slightly higher in the front to deflect pee (especially helpful with boys). The Munchkin Deluxe Potty Seat also has these plastic feet which make it easy to stand the seat up next to the toilet. It sounds like a silly feature but it’s actually nice not to have the potty seat laying on the floor. Strengths: Affordable, adjustable handles, cushiony seat, higher front to reduce boy pee spray, plastic feet which means it can stand up next to the toilet. 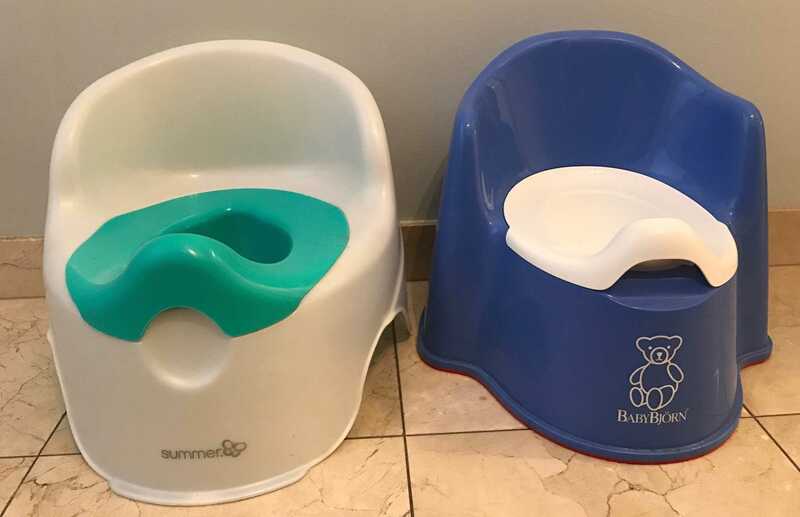 Weaknesses: A little harder for my son to climb on top of this seat because of the puffiness adds height (but not a big issue), slides around a bit when on the toilet seat. Final Word on the Munchkin Deluxe Potty Seat: This is a good potty seat for the money. But if you can spend a little more, I prefer the Cozy Greens Potty Seat or the BABYBJORN Toilet Trainer (see below for both). 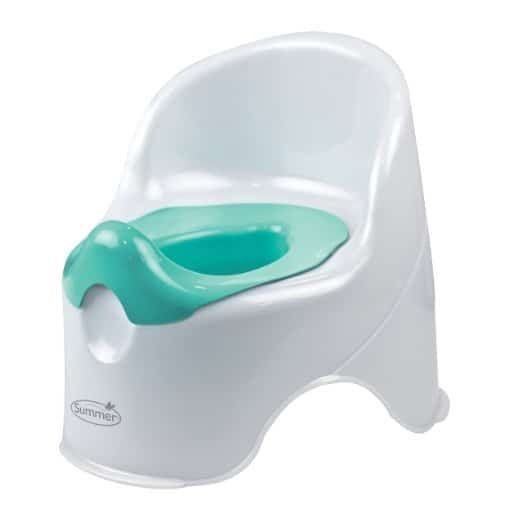 The Cozy Greens Potty Seat currently costs about $18 on Amazon and is a basic, really good quality seat. It was very sturdy on my oval sized toilet. It’s designed to fit round toilet bowls as well. The Cozy Greens Potty Seat has this “GrippySafe Anti-Slip Ring” that really did keep my son secure and safe on the seat. And there is a pee splash guard to prevent accidents. But some customers on Amazon complained that the splash guard isn’t high enough so their boys ended up peeing on the floor. The seat is definitely lower in height than the BABYBJORN Toilet Trainer (reviewed below). This potty seat also comes with a suction cup and hook screw for storing on your wall. I just throw mine behind the shower curtain but you might be a little more refined than me. The best thing about this seat is that it comes with a lifetime guarantee. They will refund your money plus ship you another brand new one free of charge. You can’t really get better than that. Strengths: Affordable, sturdy, anti-slip seat, comes with a hook and suction cup for hanging, lifetime guarantee, easy for travel. Weaknesses: No handles which I think can be helpful for kids, some people feel the splash guard isn’t high enough although I didn’t have this specific problem. Final Word on the Cozy Greens Potty Seat: I really think this is a quality potty seat for the money. Plus over 5% of their profits go to charity which warms my heart. This is an Alpha Mom Favorite. The BABYBJORN Toilet Trainer seat will cost you about $24 on Amazon. The seat is white (with either a black or red border). 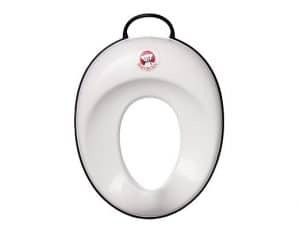 What’s different about this plastic seat is that it has an adjustable dial on the back that does help provide a better fit on your toilet seat. It’s designed to fit most adult toilets (round and oval). It also has a high pee guard which can be very helpful with boys. After you clean up pee (that has somehow sprayed all over your bathroom) you will really start to appreciate this pee guard. It can be hung up by a handle on the back. It’s good for travel if you are inclined to bring a potty seat with you (I wish I was this motivated as a parent). Strengths: Adjustable seat for a more secure fit on your toilet, high splash guard and fits most toilets (oval and round). Weaknesses: Higher priced than some other quality seats like the Cozy Greens Potty Seat and the Munchkin Deluxe Potty Seat. 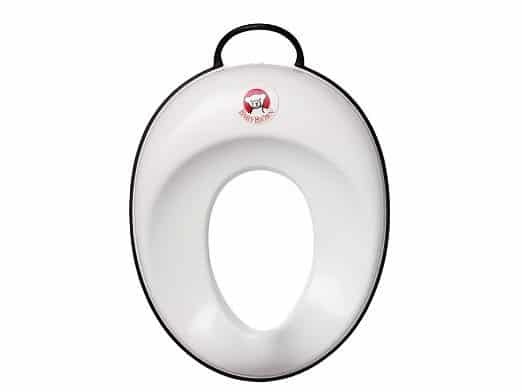 Final Word on the BABYBJORN Toilet Trainer: I’m always a fan of the Bjorn brand because I think they make good, quality products and this toilet seat is a win as well. Even though you will pay more, you get a seat that fits well and keeps your bathroom from getting covered in pee. Can you put a price on that? It’s an Alpha Mom Favorite. This is a toilet seat that goes on your actual toilet and before you order it’s super important to make sure you are ordering the right one depending on the shape of your toilet (round or oval). The Summer Infant 2-in-1 Toilet Trainer costs about $23 on Amazon. I was very resistant to the idea of this potty seat because I absolutely hate to install anything. You have to remove your current toilet seat and then mount the Summer Infant 2-in-1 Toilet Trainer on top of your toilet. This toilet trainer has a regular adult seat and then a child size that flips down on top of it. When I first received this seat in the mail, there were no directions and no hardware. I contacted the company and they immediately sent out a new one (with the label to send the old one back). So I loved how quickly and easily they handled the situation. I did recruit my dad to help me install the seat and it took us about 30 minutes. The hardest part was getting my original toilet seat off. And, at first the Summer toilet trainer seat was too loose, but we were able to tighten it. You will not be able to tighten it completely – the seat will move back and forth a bit. What’s so nice about this seat is that your child will feel very secure sitting on it. He or she won’t feel like they are about to fall into the toilet. Plus you won’t have some potty chair or seat sitting on your bathroom floor for months. Strengths: Affordable, great for a less-cluttered bathroom, toddler feels comfortable and secure on the potty seat, no dumping or cleaning a separate potty (especially joyous when your kid has a bowel movement). Weaknesses: You have to install the darn thing and it won’t feel quite as sturdy as your normal toilet seat. 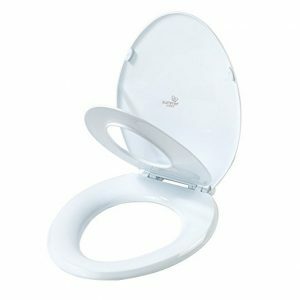 Final Word on the Summer Infant 2-in-1 Toilet Trainer: This is a really good price for a 2-in-1 toilet seat. Fabulous for those of us who like a clutter-free bathroom. And, the annoyance of installing this potty seat will probably be long forgotten when you aren’t cleaning poop out of a potty chair because man is that gross. It’s also an Alpha Mom Favorite. We found the Fisher-Price Learn-to-Flush Potty for about $26 on Amazon. As far as potties go – this is a fun one and my 3 year old son really likes it. There is a removable potty ring that can apparently be used on an adult toilet (as the child grows or as an alternative to the musical potty seat) but I found that it didn’t fit the adult toilet very well at all. I have oval toilets (not round ones) in my home, so perhaps it fits a round toilet one better. I noticed that other consumers had the same issue, according to reviews on Amazon. This seat has no volume adjustment (bad!) but you can turn it off (good!). It does appear to be a bit haunted. The sound will just magically go off in the middle of the night; so when you start dreaming about toilet paper, you’ll know why. You can easily pop out the inner potty basin to clean it. Strengths: Lots of bells and whistles for the toddler who needs a little more va-voom in their potty training; has an off-button so there is a remedy if this seat drives you completely insane (which it pretty much will). Weaknesses: A bit loud, sound goes off randomly, potty ring doesn’t work well on an adult-sized toilet. 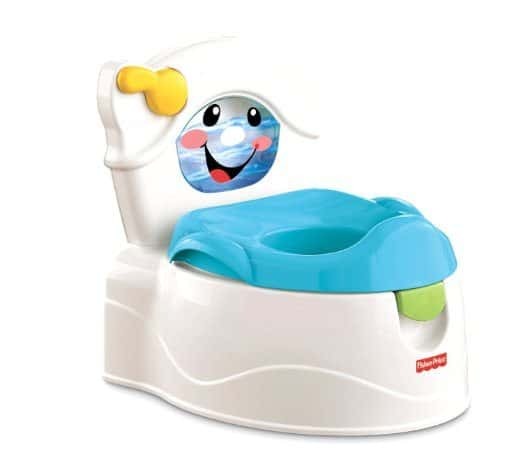 Final Word on the Fisher-Price Learn-to-Flosh Potty: This toilet is so enthusiastic, the adults can even chill out a bit on potty training encouragement. And what adult doesn’t want time to chill? But you will be using that off-button. The Prince Lionheart 3-in-1 Potty is almost $35 on Amazon. That’s more than most potties so I want this thing to perform magic tricks or something. Sadly, it doesn’t. The Prince Lionheart 3-in-1 potty has three features. You can use it as a regular toddler potty. You can also remove the potty seat and place it on an adult toilet. Finally, it transitions into a step stool. The step stool is by far my favorite feature. Because potty training is a short (okay maybe agonizingly long) blip in time. But one day, your child will indeed be potty trained and then you’ll have no use for a potty. But you can use this step stool for years. It has a clean, sleek look and can be put in any part of the house. We are using ours in the kitchen right now. And it looks like a step stool so your friends won’t be like, “Why do you have a potty in your kitchen?” which would be sort of awkward. 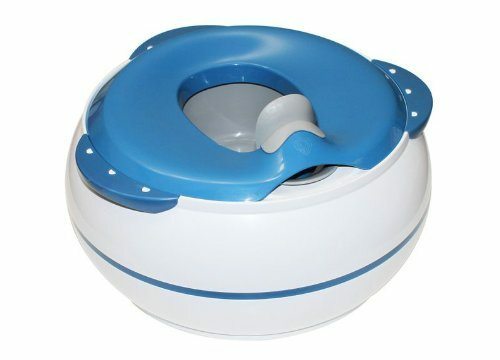 The potty is very functional and you can easily take out the inner potty basin for easy cleaning. But the potty seat did not seem to fit well on our adult-sized toilet (we have an oval-shaped toilet). This potty has a splash guard for boys that you can pop out with no problem if you don’t want it. There is no backrest on this potty which is a little bit of a bummer. Strengths: Love love love that it turns into a stool. Weaknesses: Although you supposedly get three features for the price of one potty, I found that the option of putting the seat on an adult toilet didn’t really work very well. Price a bit higher than other options. No backrest. 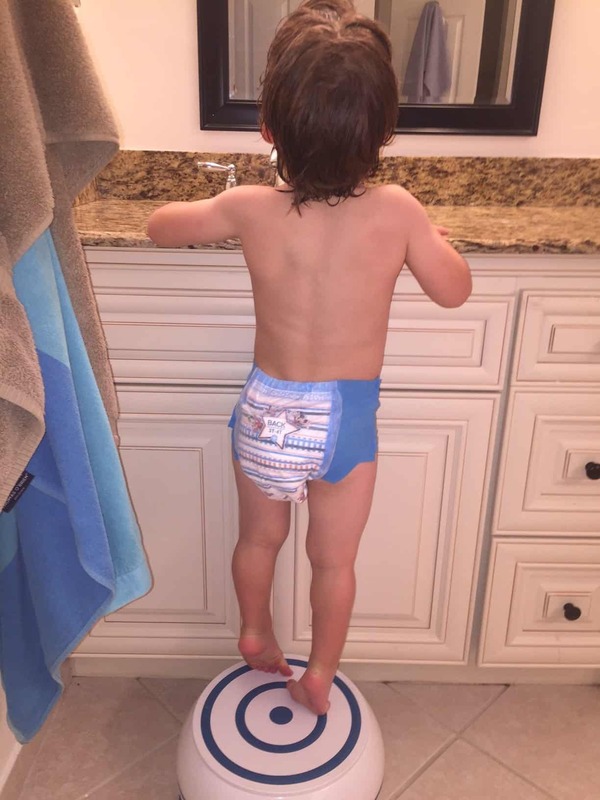 Final Word on the Prince Lionheart 3-in-1 Potty: I thought this potty was quite functional and the stool was great. Just don’t plan on using the potty seat over an adult-sized toilet. Overall, a pretty good product. Especially because you can use it as a stool for years. My 3.5 year old really has a preference for the potty chairs (over the potty seats) so my favorite is the Summer Infant Lil’ Loo Potty because it’s a great deal for a quality seat. As far as potty seats (that go over your toilet), I really liked the Cozy Greens Potty Seat and the BABYBJORN Toilet Trainer depending on your individual child’s needs. And if you like installing things (there are actually people who do), you can’t beat the Summer Infant 2-in-1 Toilet Trainer to help you maintain a clean bathroom. What’s your favorite seat? Is there one we missed? Please share! We will only get through potty training if we do it together. All potty seats and chairs were paid for by Alpha Mom. My $-store had a few options! I was surprised! No brand name, no characters, but it gets the job done. I personally like the handle option on potty seats, and would strongly recommend a foot stool for more effective and comfortable pooping. Thank you for sharing your thoughts here! We definitely believe in getting a deal here. We got a super affordable potty seat that fits on the toilet from ikea. I think it was only $8. Worked pretty well for the price. They have a potty, too, but we ended up with a second hand baby Bjorn ($10!) that we really like.